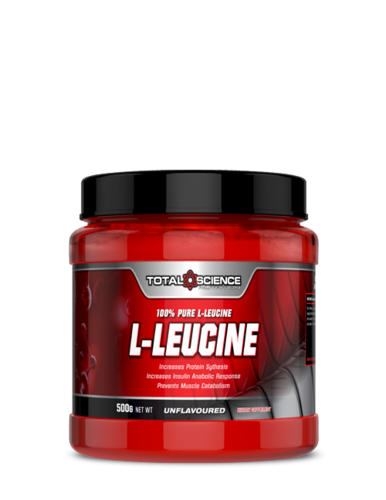 Total Science L-Leucine is of the highest quality to support your intense workouts. L-Leucine is one of the main amino acids responsible for protein synthesis and can be used directly by the body for energy when under stress, to assist with muscle growth and muscle retention. Consuming L-Leucine during or after your training session supports protein synthesis, decreased catabolism and assists in the conversion of glucose for energy.